Midlands based marketing advisor providing practical and reliable online and offline marketing solutions, ideas, copywriting and support to assist businesses develop their full marketing potential. AMS enables companies to turn data into actionable market intelligence and optimised marketing plans, through strategic planning and statistical analysis. A group of professionals offering expertise in the fields of Russian Marketing, Russian Legal Services and Outsourcing in Russia. Biskit offers all aspects of marketing, design and print management including branding, advertising, pr, consultancy and media buying. Based in Otley, West Yorkshire. Sales & marketing development services from strategy to lead generation solutions. A Digital marketing company with search and social media at its core. Experiential marketing agency creating brand experiences, sensory interactive exhibitions and visitors centres. Multi-channel marketing for small to medium sized businesses. Marketing communications across a variety of media. Portsmouth, Hampshire and nationwide. An all UK marketing and business consultancy for all industry sectors, services include web marketing and advertising, web design, social media marketing and SEO delivering measurable results. A full service marketing agency located in the UK, providing web design, corporate branding, digital presentations and marketing. LA Serve delivers practical, but creative marketing services to Lancashire and North West businesses. Create profitable sales leads for major UK consumer brands. Their lead generation experience spans all business to consumer sectors, delivering leads and profitable sales growth. 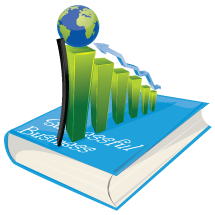 Dynamic and economical book promotions for authors, print on demand publishers and retail publishers. UK based advertising company that provide clients with advertisements in the form of mobile advans and billboards. International business-to-business media company providing world class controlled circulation magazines, internet reference portals and business conferences and summits. With an extensive background in small business marketing and years in direct sales the company provides marketing advice, marketing resources and free daily marketing tips. A Kent based creative integrated marketing and design agency, specialising in the home interest sector.